* tracking Dr. Ivins’ RMR-1029 anthrax; Dr. James Baker says none at the University of Michigan « CASE CLOSED … what really happened in the 2001 anthrax attacks? So far as we know these questions remain unanswered. Now that Dr. Ivins’ inventory log for the RMR-1029 anthrax has been published on this blog, the public process of tracking the RMR-1029 anthrax is proceeding. 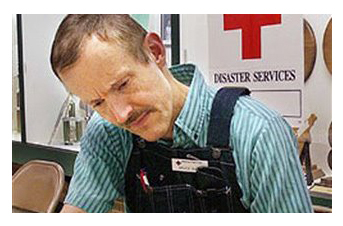 The FBI says that Dr. Bruce Ivins, with anthrax from flask RMR 1029, was the sole perpetrator of the 2001 anthrax attacks. They say they have methodically excluded perhaps 100 other potential suspects who had access to anthrax from flask RMR 1029, in some cases provided by Dr. Ivins for their research. But the FBI has steadfastly refused to provide any details as to how they excluded the others, thus leaving an opening for vast doubts that they are telling the whole story, or that Dr. Ivins is the sole perpetrator, or even involved at all. To which labs did Dr. Ivins ship the virulent Ames strains? In which labs was research with the Ivins supplied anthrax done? Was any sample supplied by Bruce Ivins still in existence at the time of the later subpoenas of Louisiana State University and University of Michigan? Who would have provided an isolate of that sample in response to any subpoena during the mid-October 2001 to February 2002 period? “That work was done at USAMRIID by a microbiologist under Dr. Ivins direct supervision and at LSU under the direction of Dr. Hugh Jones. There was never any ‘distribution’ of anthrax and all the work done at UM used simulant organisms. This entry was posted on June 27, 2009 at 4:42 pm	and is filed under * anthrax science, * recent anthrax news, Ames anthrax. Tagged: ** CASE CLOSED by Lew Weinstein, *** 2001 anthrax attacks, *** FBI anthrax investigation, Ames anthrax, FBI refuses to answer anthrax questions, Senator Grassley & anthrax. You can follow any responses to this entry through the RSS 2.0 feed. You can skip to the end and leave a response. Pinging is currently not allowed. “Obviously, when over half of anthrax batches presumed to be inactivated instead prove to contain live anthrax spores, we have a major problem, and the numbers confirm this judgment”, Work said. The investigators found that 149 batches of live B. anthracis spores had been deactivated via irradiation by the military facilities since 2003. Defense Department investigators examining accidental shipments of live anthrax from a U.S. Army lab in Utah to facilities in eight countries did not pinpoint a single reason that the facility shipped live samples of the deadly virus over a span of 12 years. The recent shipment that launched multiple federal investigations occurred on April 20, when an Anthrax sample that was thought to be inactivated, or killed, was routed through the Edgewood Chemical Biological Center in Maryland and forwarded to six private-sector companies, the review stated. – Of the 96 batches to test in DoD inventory at Dugway Proving Ground, 17 of 33 tested positive for re-growth/live anthrax. “By any measure, this was a massive institutional failure with a potentially risky biotoxin”, Deputy Secretary of Defense Robert Work said in a media briefing Thursday. “The leadership at Dugway should have understood that”, Kendall said, adding that the discrepancy was why he “recommended a formal investigation” into the staff at the facility. In the report, the Pentagon stresses that anthrax is “an exceptionally resilient organism”. Dugway failed to use enough radiation to kill anthrax and it did not correctly conduct subsequent tests to confirm the anthrax was dead. “It is clear that BA (Bacillus anthracis) spores are particularly hard to kill and live spores injured by irradiation may be able to fix their injuries over time”, the report said. All of the labs to which the samples were sent were free to send samples on to other places, and so the Department of Defense has been unable to account for all of the samples. According to Pentagon officials, right now, investigators are trying to find out whether this inadvertent shipment of the anthrax samples has resulted from quality control issues at the Dugway Proving Ground. 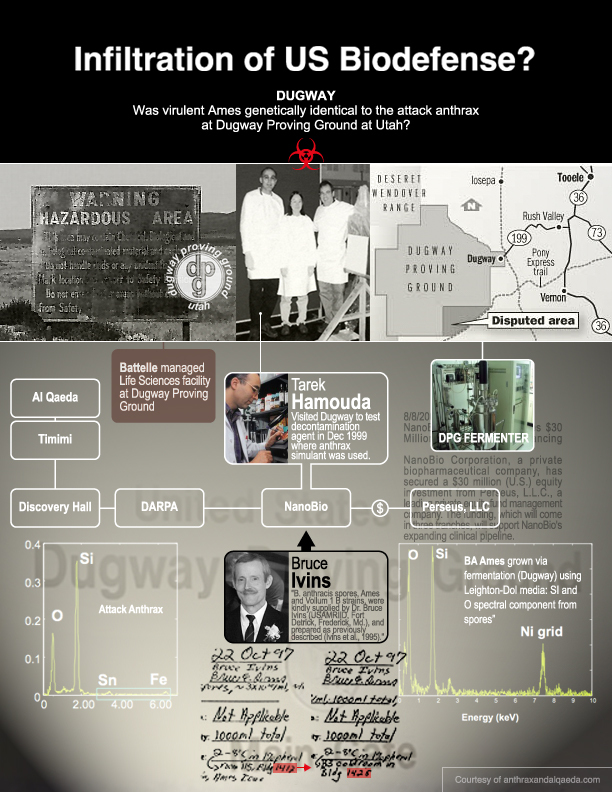 For those who don’t know: the Dugway Proving Ground is a facility in Utah where experts test US and allied chemical and biological weapons; live anthrax samples, due to their deadly features, can be used as biological weapons. The past decade has witnessed several similar incidents, during which, the US military facilities have shipped anthrax samples that were supposed to be killed or deactivated to outside laboratories in order to encourage formation of countermeasures for biological weapons. The recent incident in Utah is different as it is the first time a military base has ended up sending live samples to laboratories; all samples were found to possess live spores. According to Pentagon officials, they are expecting to see a further rise in the number of laboratories receiving those live samples. In addition, they are also expecting that soon reports will surface revealing that this shipment by the Utah military base is not the only one to contain live anthrax samples. from DXer … infiltration of U.S. Biodefense? … virulent Ames anthrax at the U.S. Army Dugway Proving Ground in Utah? The University of Michigan has two BSL-3 labs and one ABSL-3 lab, all located on its Ann Arbor campus. The labs are used to “investigate the basic biology and infectious cycles of both viral and bacterial agents and their specific interactions with the host,” with the aim of finding “molecular targets amenable for therapeutic countermeasures” for treating infections. The labs are registered to work with select agents, and an example is “testing of new classes of antibiotics capable of killing the bacterial pathogen Bacillus anthracis,” according to Jacqueline Hoats Shields, director of research compliance oversight at the university’s Office of Research.d one ABSL-3 lab, all located on its Ann Arbor campus. The labs are used to “investigate the basic biology and infectious cycles of both viral and bacterial agents and their specific interactions with the host,” with the aim of finding “molecular targets amenable for therapeutic countermeasures” for treating infections. The labs are registered to work with select agents, and an example is “testing of new classes of antibiotics capable of killing the bacterial pathogen Bacillus anthracis,” according to Jacqueline Hoats Shields, director of research compliance oversight at the university’s Office of Research. “That work was done [with the virulent Ames] at USAMRIID by a microbiologist under Dr. Ivins direct supervision and at LSU under the direction of Dr. Hugh Jones. Did James provide a copy of the simulant to USAMRIID for testing against the contaminant found in the mailed anthrax? Dr. Majidi was relying on self-submission of samples — which is curious. Why would a perp send in something that might incriminate him or her? Subpoenas went out early — in 2001 — to LSU and Michigan…. well in advance of the subpoenas sent more widely several months later. There is every reason to think that others were not as clueless as Dr. Majidi seems to be in his book. When Dr. Baker tells me that ““That work was done at USAMRIID by a microbiologist under Dr. Ivins direct supervision and at LSU under the direction of Dr. Hugh Jones” it is ambiguous as to whether he is referring to supervision at USAMRIID by Dr. Ivins or by Dr. Fellows. But based on Dr. Ivins’ 302 statement to investigators, I interpret Dr. Baker’s sentence as referring to Dr. Ivins rather than Dr. Fellows (though both worked in the B3 in connection with the research). Dr. Baker is supremely confident fellow and would welcome a chance to ensure that the record is 100% accurate. I also hope to have for you the unredacted version of USAMRIID Lab Notebook 4010 – or at least pertinent excerpts. Who was the microbiologist who worked under the supervision of Bruce Ivins at the BL-3 lab at USAMRIID? Who were the NanoBio scientists who worked under the supervision of Dr. Martin Hugh-Jones at LSU? When was the research at USAMRIID done? What month(s)/year(s)? When was the research at LSU done? In late August 2001, NanoBio relocated from a small office with 12 year-old furniture to an expanded office on Green Road located at Plymouth Park. After the mailings, DARPA reportedly asked for some of their product to decontaminate some of the Senate offices. The company pitched hand cream to postal workers. The inventors’ company, NanoBio, is funded by DARPA. NanoBio received a $3,150,000 defense contract in 2003. Dr. Hamouda graduated Cairo Medical in December 1982. He married in 1986. His wife was on the Cairo University dental faculty for 10 years. Upon coming to the United States in 1994 after finishing his microbiology PhD at Cairo Medical, Dr. Hamouda was a post-doctoral fellow at the Wayne State University School of Medicine in downtown Detroit. His immunology department biography at Wayne indicates that he then came to the University of Michigan and began work on the DARPA-funded work with anthrax bio-defense applications with James R. Baker at their company NanoBio. Shaun B. Jones, Jane Alexander, and Lawrence DuBois (Defense Science Office, Defense Advanced Research Project Agency) for their support. Bruce Ivins, Patricia Fellows, Mara Linscott, Arthur Friedlander, and the staff of USAMRIID for their technical support and helpful suggestions in the performance of the initial anthrax studies. Martin-Hugh-Jones, Kimothy Smith, and Pamala Coker for supplying the characterized B. anthracis strains and the space at Louisiana State University (Baton Rouge). Robin Kunkel (Department of Pathology, University of Michigan) for her help with electron microscopy and a couple of others for technical assistance and manuscript preparation. The researchers found that their nanoemulsion incorporated into the growth medium completely inhibited the growth of the spores. Transmission electron microscope was used to examine the spores. A March 18, 1998 press release had provided some background to the novel DARPA-funded work. It was titled “Novavax Microbicides Undergoing Testing at University of Michigan Against Biological Warfare Agents; Novavax Technology Being Supplied to U.S. Military Program At University of Michigan as Possible Defense Against Germ Warfare.” The release stated that “The Novavax Biologics Division has designed several potent microbicides and is supplying these materials to the University of Michigan for testing under a subcontract. Various formulations are being tested as topical creams or sprays for nasal and environmental usage. The biocidal agent’s detergent degrades and then explodes the interior of the spore. Funding, the press release explains, was provided by the Defense Advanced Research Projects Agency of the Department of Defense. In a presentation at the Interscience Conference on Antimicrobial Agents and Chemotherapy (ICAAC) on September 26, 1998, Michael Hayes, a research associate in the U-Michigan Medical School, presented experimental evidence of BCTP’s ability to destroy anthrax spores both in a culture dish and in mice exposed to anthrax through a skin incision. “In his conference presentation, Hayes described how even low concentrations of BCTP killed more than 90 percent of virulent strains of Bacillus anthracis spores in a culture dish.” Its website explains that the Interscience Conference on Antimicrobial Agents and Chemotherapy is the “[p]remier meeting on infectious diseases and antimicrobial agents, organized by the American Society for Microbiology.” Where was Michael Hayes’ research done? Was he present? Baker describes the process as follows: “The tiny lipid droplets in BCTP fuse with anthrax spores, causing the spores to revert to their active bacterial state. During this process, which takes 4-5 hours, the spore’s tough outer membrane changes, allowing BCTP’s solvent to strip away the exterior membrane. The detergent then degrades the spores’ interior contents. In scanning electron microscope images, the spores appear to explode.” The rapid inactivation of anthrax bacteria and spores combined with BCTP’s low toxicity thus make the emulsion a promising candidate for use as a broad-spectrum, post-exposure decontamination agent. Dr. Baker, by email, some months ago advised me: “We never had Ames and could not have it at our UM facilities.” Before September 2001, it’s office was described as in the basement of a downtown bank which seems to describe 912 N. Main St., Ann Arbor, just west of University of Michigan campus. In an April 2001 report describing testing of decontamination agents at Dugway, the best performing decontamination nanoemulsions were University of Michigan, Sandia National Laboratories and Lawrence Livermore Laboratory. “A new generation of biological/chemical decontaminates may soon be ready for use. Among the most promising is a nanoemulsion developed at the University of Michigan Center for Biological Nano Technology. The Defense Advanced Research Projects Agency (DARPA) is working closely with the center to move the technology along so that it can be implemented by the Defense Department. “Most decontamination techniques try to actually destroy anthrax spores with materials like bleach and formaldehyde,” explains Dr. James Baker, professor of medicine and director of the biological center at the University of Michigan. The nanoemulsion technology can be formulated into a cream, foam, liquid or spray to decontaminate a variety of materials, including human skin. Dr. Baker notes that the nanoemulsion has the potential to disrupt all biological threat agents, including anthrax. “Even if you can reduce the inhaling exposure by a little, you can have real benefit,” Dr. Baker notes. Dr. Baker said his research group is applying for approval by the Food and Drug Administration and plans to conduct field trials with DoD later this year or early next year. So far, however, he said, the military has expressed little excitement about or motivation to implement the technology. Pentagon sources suggest that the “mystery” of the relatively unknown technology could prompt a groundswell of public concern, as has happened with agent orange and the anthrax vaccine. They said DoD may also be holding out for a “silver bullet,” and in the meantime may feel content with not nearly as effective but already FDA-approved technologies. Dr. Baker maintains that the only major limitation to the nanoemulsion is that it cannot be used intravenously. He said he agrees that its uniqueness may be causing hesitation within DoD. Lew, were trials done in late 2000 or early 2001 as indicated contemplated by this last article? There was a mention in a 2002 report on the nanotechnology initiative of testing at Edgewood. Is that the place that FBI Director Mueller did not mention as a place that did aerosol testing of virulent Ames? It constructed a BL-3 in 2001. When was the research at USAMRIID done? What month(s) and year(s)? Was Bruce Ivins-supplied virulent Ames at LSU? If so, was it still in existence at the time of the subpoenas during the mid-October 2001 through February 2002? After 9/11, the nanoemulsion product underwent some testing in the course of the decontamination of the Senate buildings. I hope to have for you to upload unredacted copies of the logs for flask 1028, 1029 and 1030 on Monday. What do the LSU researchers, including FBI genetics consultant Kimothy Smith, say about whether virulent Ames was at LSU and, if so, whether any supplied by Bruce Ivins was provided in response to the subpoena. What does Pamala Coker say (she would have taken over by the time of the subpoena from Kimothy)? Hamouda et al., “Microbiocidal effects of liposome-like microemulsions on pathogenic Gram negative bacteria.” In: American Society for Microbiology, 98th General Meeting, Atlanta, Georgia, U.S.A., 1998; Abstract A-52. 47 (11 pages).